The Twitter transparency report for period between Jan-Jun 2015 is out – and according to it, account information requests by Indian Government to Twitter have seen significant rise. A total of 113 account requests were made during first half of the year compared to 41 made in second half of 2014. Government requested information on a total of 2,963 accounts compared to 1938 in previous six months. However, Twitter complied with less than one-fifth or 19 percent of the requests made to them. At a global level the same percentage was around 58 percent. Interestingly, Government and other agencies had requested removal of 31 Twitter accounts, but Twitter complied with none, and no accounts were disabled or removed. Even 2 court orders did not convince Twitter to remove the accounts. Even requests for removal of certain tweets were not complied by Twitter. In comparison, during the previous six month period, a total of 14 accounts were asked to be removed with 1 court order. Twitter responded with withholding 1 twitter account. 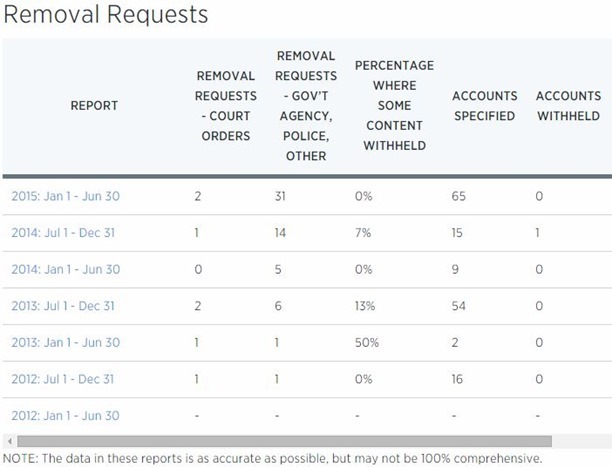 Since Twitter first started coming out with their transparency report in 2012, the account information and removal requests have been steadily on the rise. At global level, 4363 account information requests were made and Twitter complied with 58 percent of those requests. A total of 12,711 accounts were specified, out of which India had 2963 accounts. USA remained by far the biggest country in terms of number of information requests (2435) and accounts specified (6324). 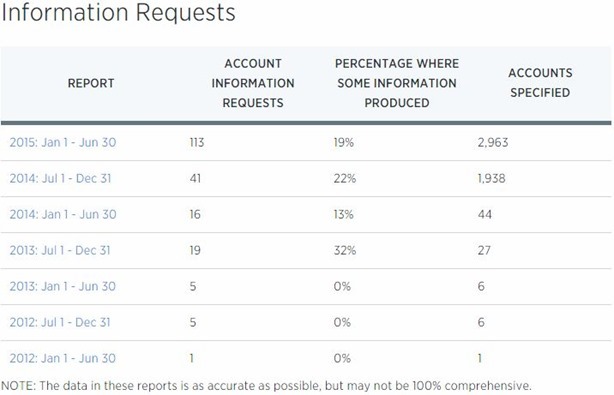 Twitter also release details about non-Government information requests – where at global level 125 requests were made and 30 percent were complied with. Is Facebook Attempting To Rationalize Internet.org in India With $21 Million ‘Benefits’ From FbStart?